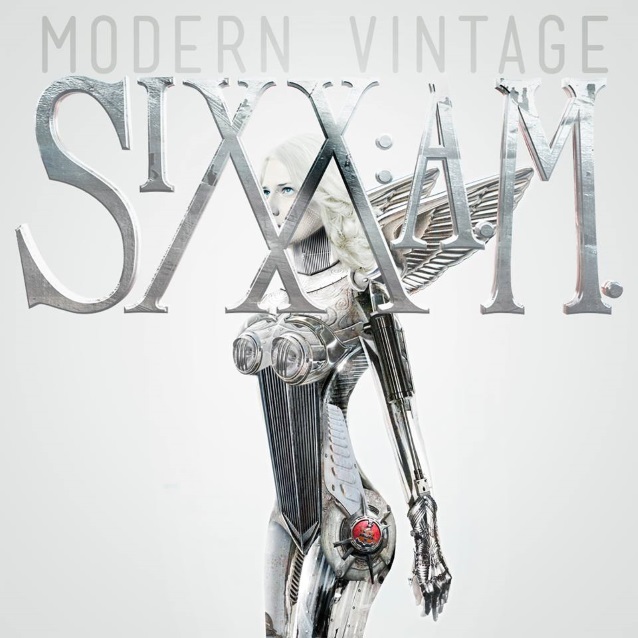 SIXX: A.M., the band featuring MÖTLEY CRÜE bassist Nikki Sixx alongside guitarist DJ Ashba and vocalist James Michael, will release its third album, “Modern Vintage”, on October 7. The CD’s first single, “Gotta Get It Right”, will hit iTunes and radio on August 5. The video for “Gotta Get It Right” was directed by Paul Brown in mid-June and will premiere on VEVO on August 6. Sixx also spoke about whether he is concerned that the musical diversions won’t appeal to fans of the first two SIXX: A.M. albums. As each band member has been kept busy with their other careers — Sixx is also a syndicated radio host; Ashba is a member of GUNS N’ ROSES; James Michael is a famed rock producer who has worked on records for PAPA ROACH, HALESTORM and others — this marked the band’s first chance to perform in support of their “This Is Gonna Hurt” album, which supplied the #1 rock anthem “Lies Of The Beautiful People”. “7”, the latest EP from SIXX: A.M., came out in December 2011 and sold around 2,700 copies in the United States in its first week of release. The effort contained acoustic versions of songs from the group’s first two albums — 2007’s “The Heroin Diaries” soundtrack and 2011’s “This Is Gonna Hurt”. Released on May 3, 2011, SIXX: A.M.‘s sophomore album, “This Is Gonna Hurt” is a companion piece to Sixx‘s “This Is Gonna Hurt: Music, Photography And Life Through The Distorted Lens Of Nikki Sixx” book, a follow-up to his New York Times bestseller, “The Heroin Diaries”. 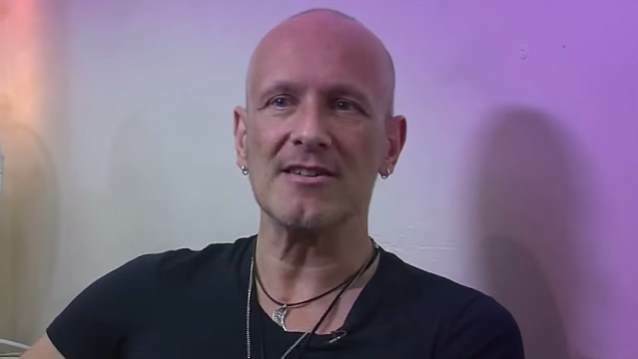 DEF LEPPARD guitarist Vivian Campbell, whose cancer is once again in “remission,” is currently undergoing a new round of chemotherapy before receiving a stem-cell transplant in September. In a posting on his Facebook page earlier today (Thursday, July 31), Campbell offered the following update on his cancer battle: “For those of you that give a toss, here’s the latest and greatest on my cancer situation. “I’m currently in Boston and I did a scan on Tuesday morning. The scan shows that the cancer is in remission. Great news, but I’m trying not to get too excited about it as I heard that same phrase late last year only to be disappointed again a few months after when it returned. This past June, Campbell spoke to Utah’s Daily Herald about how he found that his cancer had returned. “The remission was a little bit premature,” he said. “It came right back. I don’t know if the cancer came back or it never totally went away, you know, but the initial scan I did last fall after doing my chemo, the scan came back clean. But there was something about it the oncologist was unclear about and didn’t feel good about, so I was referred to another specialist. Campbell‘s health setback is not expected to affect the recording sessions for DEF LEPPARD‘s’ next album, the follow-up to 2008’s “Songs From The Sparkle Lounge”, which is being laid down in several sessions. The results have been chronicled in an eight-part documentary series, called “Sonic Highways”, that frontman Dave Grohl directed. The series will air on HBO this November. Among the cities visited were Austin, Chicago, Los Angeles, Nashville, New Orleans, New York, Seattle and Washington, D.C. 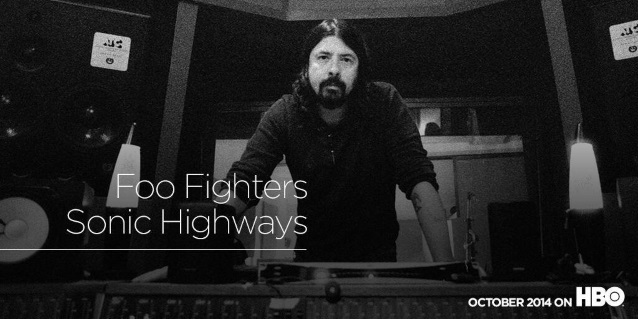 The FOOs have yet to unveil a title or release date for the new disc, but there is speculation that it will be called “Sonic Highways” as well. Channing played on NIRVANA‘s first full-length album, “Bleach”, and recorded drums for one track on the band’s breakthrough effort “Nevermind”. Grohl, Novoselic and touring guitarist Pat Smear played NIRVANA songs together for the first time in more than 20 years when the band was inducted into the Rock And Roll Hall Of Fame this past spring. Grohl saluted Channing, who was not inducted with the rest of the group, during his own induction acceptance speech. On the very day his farewell tour as QUEENSRŸCHE begins, Geoff Tate — one of rock’s quintessential front men and the lead vocalist heard on all QUEENSRŸCHE hits since the inception of the band — has announced that his current version of QUEENSRŸCHE will forge ahead as OPERATION: MINDCRIME after the tour ends. Named after QUEENSRŸCHE‘s epic concept album from 1988, “Operation: Mindcrime” — a band consisting of Geoff Tate, Rudy Sarzo (OZZY OSBOURNE, WHITESNAKE), Simon Wright (AC/DC, DIO), Randy Gane (MYTH) and Kelly Gray (QUEENSRYCHE 1998 – 2001, 2012 – present) — will enter the studio in September to begin recording a trilogy project that Geoff‘s been working on for the past two years. With the evolution of his band, Geof would like to concentrate on concept and story albums in the years to come. Fans like to call it, “Thinking Man’s Metal” and Geoff plans to continue expanding the musical dimensions of your mind. With the release “Operation: Mindcrime” — which won critical and popular acclaim and comparisons to THE WHO‘s “Tommy” and PINK FLOYD‘s “The Wall” — QUEENSRŸCHE went on to bring their progressive music to sold-out audiences the world over. With Geoff at the helm, QUEENSRŸCHE sold over 20 million albums worldwide and performed in over 46 countries. 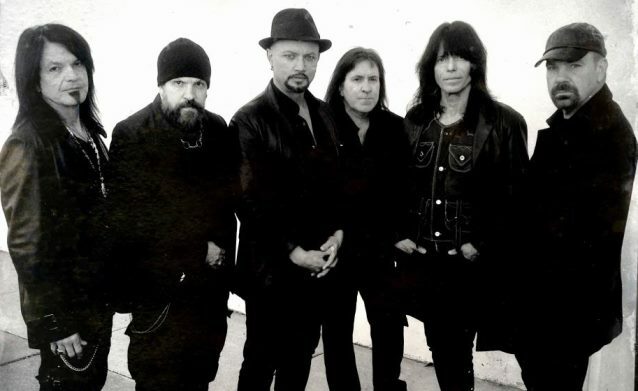 Beginning July 30, Geoff Tate and his band mates will be spanning the states for a 22-date trek of what will be Geoff‘s remaining performances as QUEENSRŸCHE Starring Geoff Tate – The Farewell Tour. 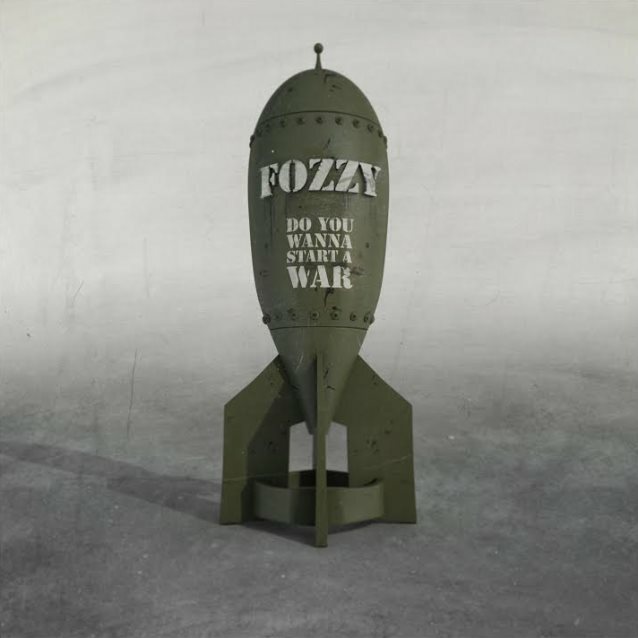 “Do You Wanna Start A War”, the new album from FOZZY — the band featuring WWE wrestling superstar Chris Jericho alongside members of STUCK MOJO — sold around 5,600 copies in the United States in its first week of release to debut at position No. 54 on the Billboard 200 chart. FOZZY‘s previous CD, “Sin And Bones”, opened with around 3,400 units in August 2012 to land at No. 143. The band’s 2010 effort, “Chasing The Grail”, registered a first-week tally of around 2,200 to enter the Heatseekers chart at No. 6. FOZZY is Chris Jericho on vocals, Rich Ward on guitar and vocals, Frank Fontsere on drums, Billy Grey on guitar, and Paul Di Leo on bass. “White Devil Armory”, the new album from New Jersey thrash metal veterans OVERKILL, sold around 8,400 copies in the United States in its first week of release to debut at position No. 31 on The Billboard 200 chart. The band’s previous CD, “The Electric Age”, opened with 6,500 units back in April 2012 to land at No. 77. OVERKILL 2010 effort, “Ironbound”, registered a first-week tally of 4,100 to enter the chart at No. 192. 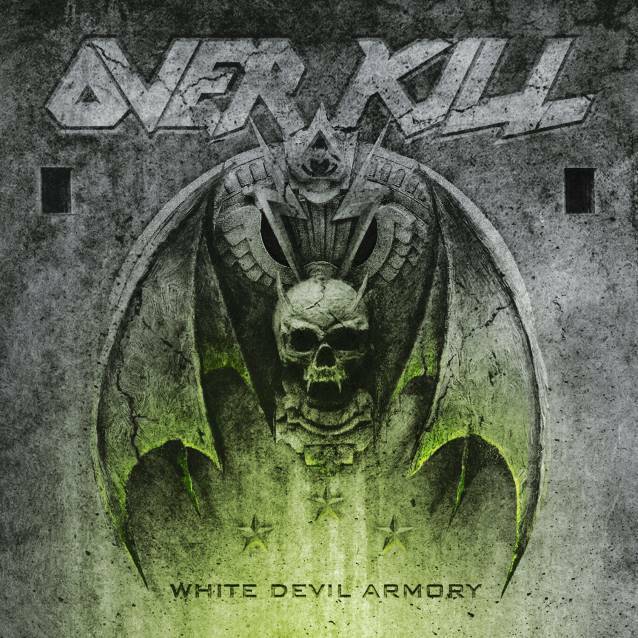 “White Devil Armory” was released on July 22 in North America via eOne Music and on July 18 in Europe through Nuclear Blast Records. The effort was tracked at Gear Recording and was mixed by Greg Reely, who also worked on 2012’s “The Electric Age”. The limited-edition box-set version of “White Devil Armory” includes a digipack CD, a leather belt and buckle plus a certificate of authenticity. OVERKILL recently filmed videos for the songs “Bitter Pill” and “Armorist” with veteran director Kevin J. Custer (HATEBREED, TESTAMENT, SUFFOCATION). Custer previously worked with OVERKILL on the “Electric Rattlesnake” and “Bring Me The Night” clips. There have been quite a few unmistakable characters that heavy metal has given us over the years. 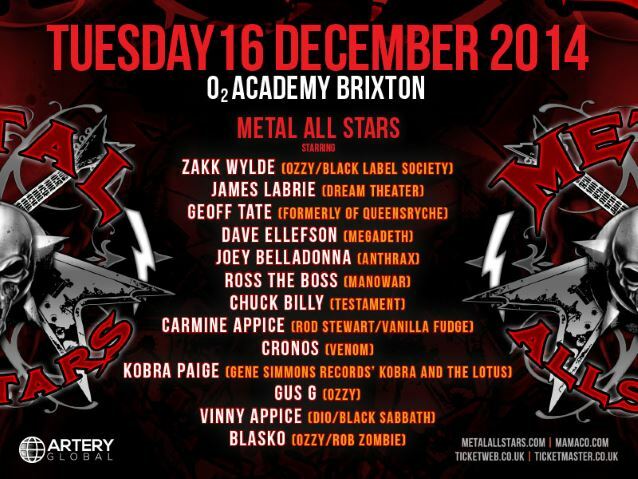 On Tuesday, December 16, an impressive amount of these renowned names will unite as the Metal All Stars for a special one-off concert at O2 Academy Brixton in Londonn England. Tickets will go on general sale at 9 a.m. on Monday, August 4 from Ticketmaster.co.uk. All tickets are priced £27.50 plus booking fee. A special presale for O2 customers will start at 9 a.m. on Friday, August 1. Plus many more names to be confirmed. This special one-off London concert will feature sets that include renditions of all the performing artists’ respective classics.